It is without a doubt that the Netherlands’ three biggest club sides are AFC Ajax, PSV Eindhoven and reigning Champions Feyenoord, however scratch beneath the surface of the Eredivisie and there continues to be a common theme year after year; a wealth of fantastic young players with raw, untapped potential. In this new series exclusive to Total Dutch Football, Joe Donnohue looks at one of the ‘Eredivisie Standouts’ who continues to leave his mark on the league outside of the traditional ‘Big Three’ squads. 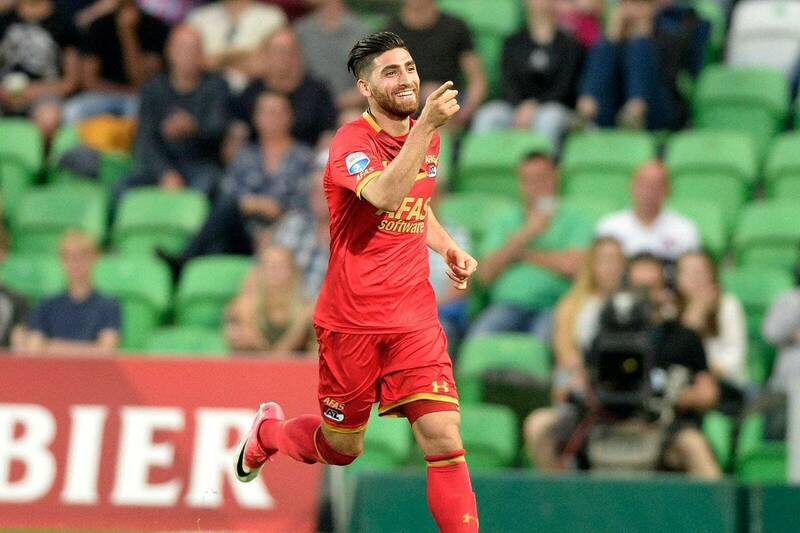 One player who may not be unfamiliar to Eredivisie aficionados is Alireza Jahanbakhsh. The Iranian winger has eight league goals and seven assists for AZ Alkmaar this term and has been in terrific form. Without a doubt, Jahanbakhsh is AZ’s most valuable player and is certainly one who could ply his trade at a higher level. To illustrate his importance to his side, without his direct contribution in terms of goals and assists, AZ would be 12 points and five league positions worse off. Jahanbakhsh’s contribution has seen AZ overachieve to an extent seeing them soar to third in the table at the time of writing, challenging Ajax for a Champions League qualification round place. While perhaps not as prolific as the likes of PSV’s Hirving Lozano or ex-AZ man Steven Berghuis, it is rather Jahanbakhsh’s creativity that greatly supports AZ’s cause. On four occasions this season, the winger has been involved in both scoring and assisting in the same match. During October’s 3-0 victory over a strong FC Utrecht side, Jahanbakhsh scored one and assisted the other two goals to almost single-handedly secure all three points. His influence cannot be understated. Having hit the ground running at AZ last season, Jahanbakhsh registered ten goals and nine assists in the Eredivisie, signalling that this season’s tally to date – which he is set to surpass on both counts – is no fluke. Rather, the 24-year-old looks to be gearing up before heading into his best footballing years. Understandably with this kind of form it will be difficult for AZ to turn down potential suitors should a substantial bid be received and a World Cup with Iran will only showcase his skills further, only this time on the global scale. It will take something short of a miracle to keep the Iranian at the AFAS Stadion beyond this summer. Click the name above to follow Joe on Twitter.